Discover our fantastic selection of French Recipes and Cooking Ideas all written by our expert professional chefs at L'atelier des Chefs, based in London. Classic french crepes served with lemon and sugar or flambeed with Grand Marnier. Classic French crêpes served with a cinnamon and Grand Marnier drizzle and fresh orange segments. Delicious French patisserie made with ground almonds and filled with a fresh and zesty lemon buttercream. 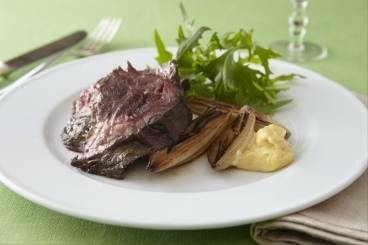 A French bistro classic,Flat Iron steak with classic braised shallots, chips and garlicky aioli. A classic French salad of eggs, potatoes,tomatoes and black olives with a perfectly cooked tuna steak.